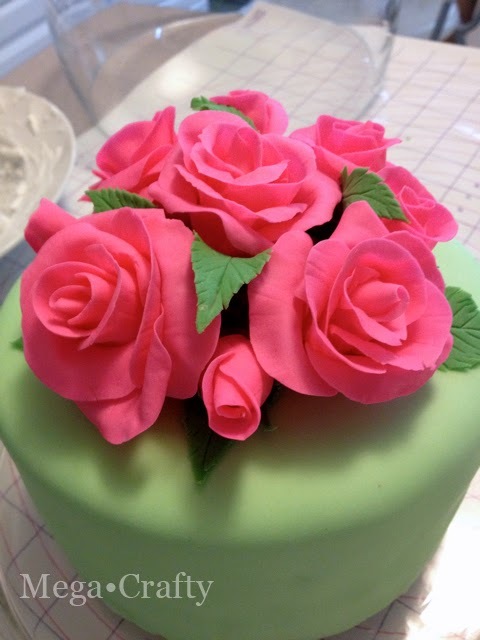 This was my first attempt at gum paste roses (which I've been wanting to make for a while now). 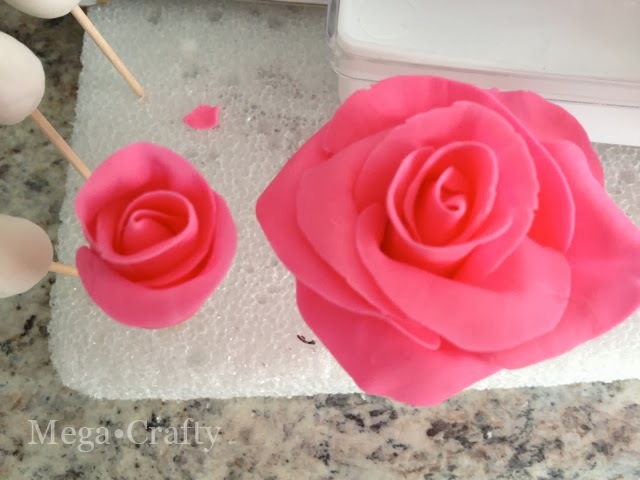 I didn't have petal cutters so I decided to make each rose petal out of a flattened ball of tinted gum paste. And although that meant there were a lot of pieces for each flower, I think it was well worth the effort. They ended up looking so real (and I'm definitely embarrassed to admit this) that I even fooled myself at one point. While I had the whole tray of roses drying in the kitchen I walked past them, and almost out of reflex before I'd even fully thought about what I was doing, I picked one of them up and smelled it. Like I would do if it were real- realizing as I got a wiff of "sugar" instead of "rose"what I'd done. It went as good as it could have- no breaks at all! But, boy was it nerve-raking. I was really glad this was a small cake! Absolutely beautiful, Meg! 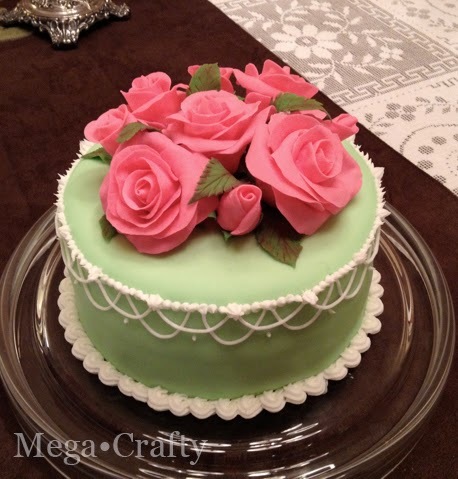 The roses are perfection and the scrolled border is amazing - especially after reading how hard it is to do. This cake is museum worthy! 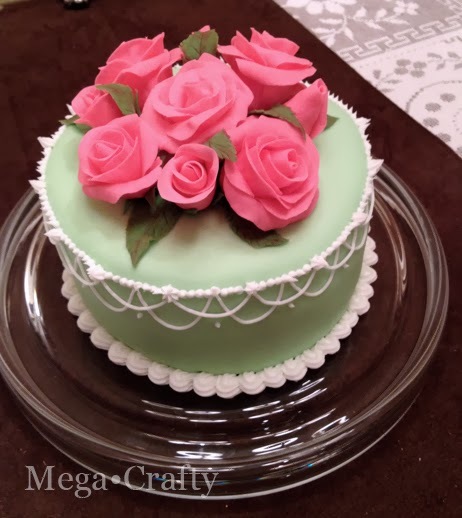 Not only did the drop border come out perfectly--I've done this on a smaller scale (and not on a cake) with glue, so I know how precarious it is, but the roses are sheer perfection! Simply amazing work! I can't even imagine having any success with this and you - look at you!!! Your roses and your drops are absolute perfection - brilliant! I am always glad to see Mega Crafty pop up in my reader! Like this post, it is always worth reading. I know anything like this and posting about it as well can be challenging for you so I appreciate it even more. Happy Valentine's Day! Thanks so much Pam. I appreciate you stopping by to read- even though I haven't been posting regularly lately. Hope you had a great Valentine's Day!